Enjoy exclusive access while supporting art and ideas. Enjoy a free tour with the price of admission! 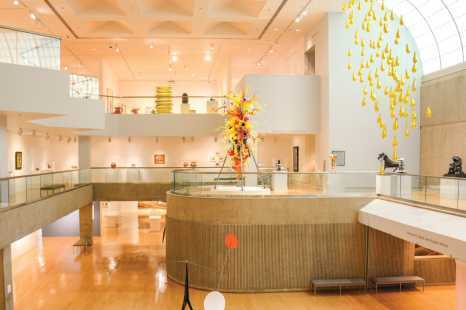 One-hour tours of the permanent collection and exhibitions free with museum admission. Groups of 12 or more are eligible for discounted admission. Museum docents provide lively interactive tours geared to specific age levels and curricula. The museum will be open with free admission from 5 to 7 pm as part of Free Friday Night. Find all the information of what is happening this season at the Palm Springs Art Museum in our publication, "INSIGHT" magazine. Watch our curators present upcoming exhibitions for the 2019/2020 season.